We rounded out a great summer in August with programs Reaching, Inspiring, Supporting, and Engaging young men from fatherless and single parent homes. We had the opportunity to not only share in God’s Creation, but also really invest deeply into some of our young men. This kind of sharing couldn’t come at a better time with school starting back and these young men getting back to their school year routine. It has been a great summer as we have seen young men trust the Lord, make professions of faith, and build bonds with mentors that will help aid and walk with them through their teenage years. So many people make these programs possible for these boys and a free community resource to them, for that we thank you and thank the Lord for your partnership. Our programs this month were run in Georgia, Louisiana, North Carolina, South Carolina, and Michigan. 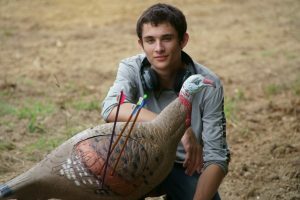 Dallas, GA held its annual 3D archery shootout where boys and mentors got the opportunity to learn and hone their skills in archery. 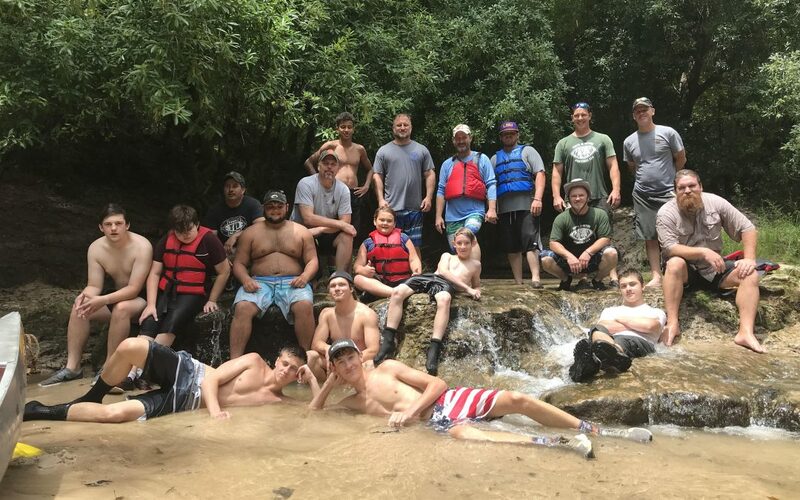 In Bush, LA the annual Okatoma River canoe trip didn’t disappoint as young men and mentors took the annual float down the river, ending in the shoot down the waterfall. 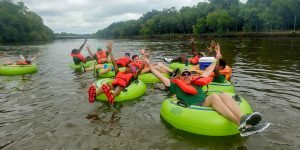 Apex, NC held its first river tubing float as the boys there loved cooling off from the summer heat while floating alongside their mentors. 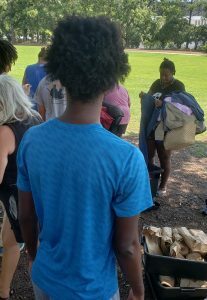 In Columbia, SC we partnered with Awaken Church and boys and mentors took to the streets in downtown Columbia passing out food and supplies to the homeless while taking time to pray with some of them that wanted to. Finally, in Newberry, MI they took their first ever canoeing trip between boys and mentors, which ended at the mouth at Lake Superior. All of these programs were a great opportunity for young men and mentors to grow in their relationships with each other. However, the most important times during these programs come when these young men and mentors share about their walk with the Lord. This was a great month as we saw the Lord move in all of the chapters and young men respond through their small group times, man times, prayer time, and one young man Jay Jay in Newberry, MI mad e a profession of faith and was baptized by Program Director Jim Duflo. The root of these programs is grounded in our faith in the Lord Jesus Christ. We have another great month coming up in September. We will be kicking off two new Chapters in NE Atlanta and in Houma, LA. We will have programs in 8 different locations throughout the month. Please continue to keep these programs, these mentors, and most importantly these boys in your prayers as we enter into the fall. May the Lord guide our time and conversations with them and use His Spirit through these programs to draw them close to Him. We look forward to seeing what God will do this next month. 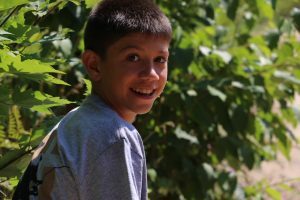 If you would like to get your son involved, become a mentor, or learn how to partner with us on a national, regional, or local level you can visit our Staff Page at https://truthinnature.org/staff/ and shoot us a message or give us a call. We look forward to hearing from you.